Veteran goalkeeper Roman Weidenfeller helped Dortmund win back-to-back Bundesliga titles in 2011 and 2012. Borussia Dortmund second-choice goalkeeper Roman Weidenfeller has signed a one-year contract extension valid through to 30 June 2017. The 35-year-old, who has made 395 Bundesliga appearances to date and won two Bundesliga titles, has been at the club since 2002. "With his sporting qualities and qualities as a person, Roman was and is an important part of the squad," said Dortmund sporting director Michael Zorc. 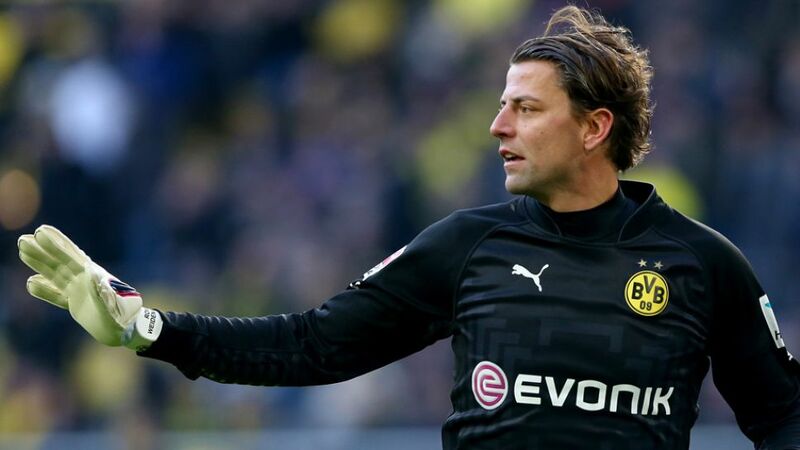 For his part, Weidenfeller said he is "happy and thankful to continue to be a part of the new and positive development of BVB."